YOUR Boise Hawks hosted the Scout Days Showcase here at Memorial Stadium, October 5-7, giving young men the chance to show off their talent on the ball field in front of college coaches and major league scouts. The teams ranged from High School to College level with four teams participating including the College of Idaho, Vauxhall Academy, Treasure Valley Community College, and the Idaho Cubs prospect team for the Chicago Cubs organization. The Idaho Cubs are a select group of young men put together by Manager Gary Van Tol, YOUR Boise Hawks Bench Coach! The mission of the Idaho Cubs is to develop the players at a higher level of competition, give the team exposure and evaluate the individual strengths, weaknesses and future projection of the individual players. 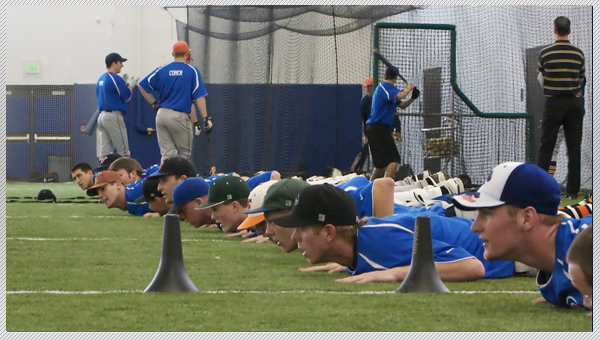 For more information on the Idaho Cubs Prospect Team and Camps visit www.idahocubs.com.